MELBOURNE, Fla.--(BUSINESS WIRE)--Officials at Orlando Melbourne International Airport (MLB) announced today that they are seeking developers for a unique high-end hotel with airfield access. 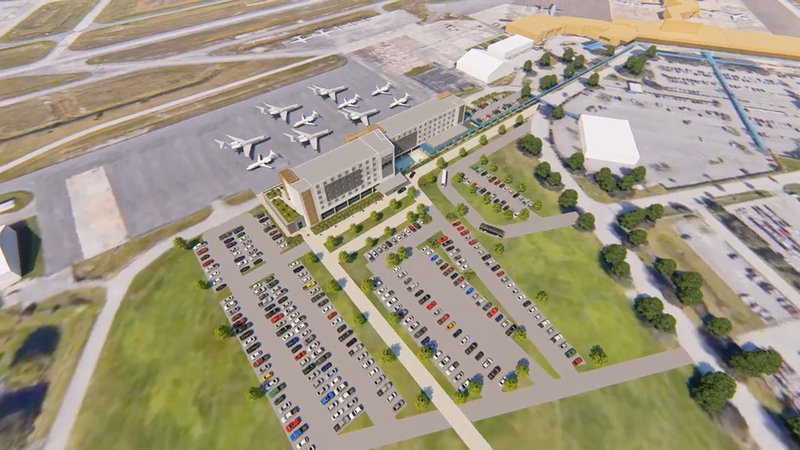 The fly-in hotel will accommodate the coastal Florida airport’s accelerated growth in air service and major corporate tenants, with meeting space and lodging in high demand. It will be among only a handful of airport fly-in hotels in the nation. MLB’s Request for Proposals includes a minimum 20,000 square feet of meeting and event space, approximately 200 guest rooms, a fine dining restaurant with rooftop bar, outdoor pool, sundeck, fitness amenities and a VIP/concierge floor. In addition, partnering with a Fixed Base Operator (FBO) facility must be incorporated into a winning proposal. MLB’s monthly passenger counts increased by double digit percentages in fourth quarter 2018 with no end in sight, closing out the calendar year at 489,240: its highest in more than a decade. Airport operations alone increased by 26.5% last year, with the trend expected to continue. The terminal can accommodate 2,000,000 passengers annually. In addition to corporate growth, Orlando Melbourne International Airport is strategically located in the most coveted tourism region in the world. MLB is the closest airport to the world’s second largest cruise port, Port Canaveral, NASA’s Kennedy Space Center, and a short drive to Central Florida attractions. Landing at MLB has also garnered international attention as the #1 most scenic airport approach in the United States (sixth in the world) according to PrivateFly.com. Proposals are being accepted at Melbourne Airport Authority offices at One Air Terminal Parkway, Suite 220, Melbourne, Fla. by 2 p.m., Friday, March 15, 2019. A unique concept fly-in hotel RFP issued for Orlando Melbourne Int'l Airport (MLB) located near top DOD contractors, NASA, cruise port and attractions.